WRAP this week revealed that UK household food waste has increased for the first time in a decade, rising to the equivalent of £13bn of food every year. Let’s pause for a second and take that in. That’s £13,000,000,000 of people’s hard earned cash going straight in the bin. Throwing away food doesn’t just mean individuals overspend on their weekly shop. It costs local authorities too: the more people throw away, the more it costs councils to dispose it. That households are wasting more is a challenge for authorities strapped for cash. In December recycling rates were reported to have fallen in 2015 for the first time ever, with a lack of investment in local recycling services partly to blame. At a time when local authorities nationally face tough decisions to make quick savings, it is hard for councils to make a call to invest, even if it will save money in the long term. Thankfully though, improving recycling rates needn’t cost councils more. By drawing on existing knowledge and resources – like council staff experience and tried and tested interventions – local authorities can boost rates, and stand to save thousands of pounds annually by doing so. For example, it costs half as much to compost food as it does to burn it. Councils like Warwickshire and Hackney are reaping the financial and environmental benefits of well-designed campaigns to boost food recycling rates. Recycling is a product of habit – persist to influence it. Like with most things we do, once a behaviour becomes a habit it’s difficult to break. The aim should be to make food recycling second nature for as many people as possible. The psychology of making and breaking habits should be applied to all campaigns aiming to boost recycling rates. Target resource where they are most needed. Recycling teams nationally are hard-pressed to deliver the best service they can to residents. In this context it can be hard to take time to stand back and consider if resources are being spent wisely. Small changes to communications and service provision can make a big difference – targeting ‘low hanging fruit’ like home-movers or households that are already engaged but could do better can lead to much better results. Tap into people’s motivations. To get people to do anything, you need to understand what motivates their behaviour. At TCC we use Values Modes, a psycho-graphic tool that uncovers people’s core motivations. Local authorities need to be tapping into these values and other motivators to make sure messages resonate and make sense to people. Make it easy to recycle food. A lot of people don’t recycle because they find it tedious, difficult, or because they feel they don’t have the time. 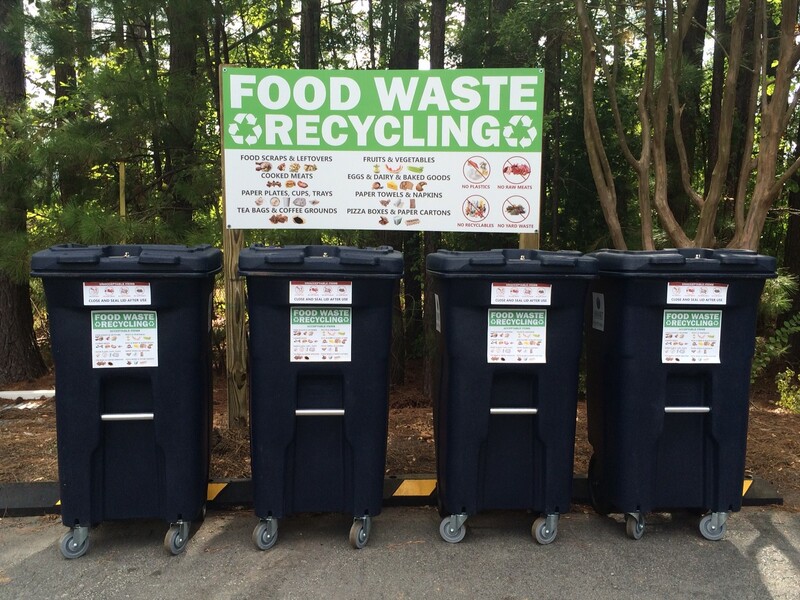 Making the process of food recycling as easy as possible is crucial. That means getting the basics right: from enabling them to recycle by making liners easily available, to keeping residents new and old up to date with the services that are available. Recycling messages and campaigns should be kept simple too; it’s no coincidence that successful campaigns often focus on telling residents which colour bin to use as their headline message. Knowledge is power. What people know about recycling isn’t the main determinant of whether someone recycles or not. But once people are in the habit of recycling, you can boost individual rates of recycling by making sure people know what can and can’t be recycled. Repeating and reinforcing what people need to know is essential to maintain and boost performance. Admittedly, when it comes to getting people to recycle food, experts are still learning what works. But it’s clear that in the face of increased wastage and reduced recycling rates, councils can’t afford to stand still. Applying what we know and testing new approaches should be seized as an opportunity to reap the environmental and economic benefits of recycling more food.